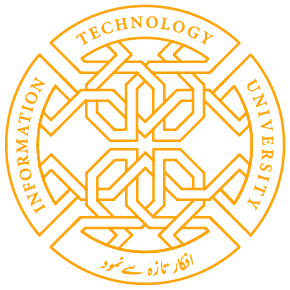 The Information Technology University is a provincially-chartered university. 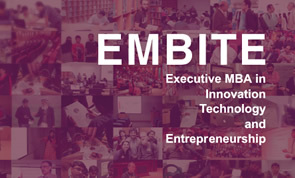 The Executive MBA in Innovation, Technology, and Entrepreneurship (EMBITE) is a unique opportunity for professionals to engage in entrepreneurship, especially in those business ventures which are highly innovative, or technology-oriented. It is the first program in Pakistan designed specifically to provide skills and knowledge to those who are interested in starting a new business or those who are interesting in growing their businesses. The program is designed for maximum flexibility combined with maximum rigor. It benefits from a combination of faculty quality, innovative program design, exciting learning methodologies, and price which makes it the Executive MBA with the greatest value addition in the country. Candidates will receive an HEC-recognized degree from ITU. Given its focus on innovation, the acceptance of technology, and entrepreneurship, EMBITE has been designed as a program providing maximum flexibility for potential candidates, who will typically be in employment or in the process of launching a business idea. The typical candidate is expected to bring an existing or potential idea to the program and develop it over the course of the two years until a finished product is available for the market place. Or, a candidate can use EMBITE to grow his or her business to an extent where it can be considered marketable. Candidates accepted into the program will work in teams of five people over the duration of the EMBA. Teamwork is an essential part of business success and this will be encouraged in the preparation of assignments, case studies, and other learning tools. The program will make extensive use of case studies and simulations in its teaching methodology, as well as on-line classroom contact, especially with guest faculty. The core faculty of ITU teaches in EMBITE. EMBITE’s message is “The Application of Technology to Business and Business to Technology”. It aims to provide an opportunity for existing professionals to improve their qualifications, as well encouraging entrepreneurs to start new businesses as well as assisting start-ups to grow their businesses. This has major economic and social implications for Pakistan, and the program intends to create and strengthen the value chain which will eventually be translated into wealth creation, new jobs, technological innovation, economic progress, and increased security. The program follows the roadmap for Executive MBAs laid down by the Higher Education Commission of Pakistan (HEC), the regulating body for universities in the country. Hence, the program is open to those with 16 years of education and two years of work experience to be considered for admission. Candidates must submit a detailed CV with their application form. Candidates are permitted a maximum of 4 years to complete the program. EMBITE is two-year long modular Executive MBA comprising 72 credit hours, made up of 22 courses (offered as modules) and a project. The courses are three credits each; the project is six credits. Classes will be held on the weekends: Saturday and Sunday from 09:00-17:00. The completion time is 18 months for the course work and six months for the project. The total classroom contact time is 48 hours (3 credits). Assessments will be given both during the module and on-line. Rs 300,000/- a year with a 50% discount for Government employees and members of the Armed Services. Fees are payable at the beginning of each semester, and can be paid in three installments during a semester. This course focuses on the need to develop verbal and nonverbal skills which assist a person in developing the confidence and articulation to project himself or herself to a potential investor. It focuses on speaking skills, relevant writing skills, grooming, and the ability to make informative presentations both within and outside the firm. The course uses a hands-on approach, combining lectures, role-playing, visual media, and cases, to improve the effectiveness of a “sales pitch”. It is intended for both entrepreneurs who wish to grow their businesses by approaching potential financiers and start-ups who need to convince angel investors or venture capitalists. The course also ensures that candidates become familiar with the terminology and “jargon” which is in use, especially in technology-related companies, and which enhances the quality of interaction with investors. This is a important course for those wishing to set up a new business or grow an existing business, especially in the area of technology. The accounting of assets and liabilities, the nature of equity, and the forms of financing are especially complex in start-ups and small businesses. When such businesses are combined with the technology sector, we are faced with more complex issues related intangible assets and the provision of services. This course aims to clarify to the candidates how to understand a set of financial statements as well as how to develop financial statements in accordance with International Accounting Standards. This is critical when making presentations to potential investors. Additionally, the tax provisions associated with such businesses are of special importance. An entrepreneur should be fully aware of tax waivers and tax loopholes to reduce his or her fiscal burden especially in the critical growth stage of the business, as well as the tax implications of different financing sources. By the end of the course candidates will be familiar with interpreting financial statements for business purposes. Many entrepreneurs or potential entrepreneurs are unfamiliar with the use of quantitative techniques and their application to their businesses so as to provide necessary data for interpretation. This course introduces both mathematical and statistical tools used in business operations so as to improve the quality of critical analysis of the market place and the nature of the product or service that is being developed. The course covers elements of business mathematics as well as statistics, including an understanding of simple tools such as regression analysis to project conditions in the marketplace. The course places special emphasis on the ability of candidates to use software looking at marketing and financial data including SPSS-latest version and Excel. All these feature in well-developed business plans for potential investors. This is a core course for all entrepreneurs, especially those involved in tech businesses. This course provides a critical understanding of the drivers of financial performance, which create value for the business. The idea is that by proper evaluation and selection of financial tools, techniques, and opportunities, start-ups and growing businesses can adopt a more scientific approach to creating a balance sheet, which maximizes value and attracts investors. The course adopts the perspective of an entrepreneur, especially one involved in innovation and technology, and provides the tools and techniques to carry out financial projections of sales, develop pro forma and cash budgets, understand investment planning by growing firms, and help entrepreneurs assess value by focusing on financial rather than accounting data. The course will also briefly cover topics covering the behavior of local debt and equity markets as sources of financing and as the basis for firm valuation from the perspective of the sponsor. This course provides the substance of how start-ups and growing firms should plan and budget for costs and revenues and identifying the key cost drivers and the critical revenue sources for optimal decision-making. Therefore, the course focuses both on the main aspects of cost accounting, including planning, budgeting and costing, and their conversion into effective tools of control through formal systems, which are essential in growing firms. This is a fundamental course in sales and selling and in marketing. Contrary to popular myth, it is sales which are the locus of all business activity, and rather than being a subset of marketing, it is the driver for all marketing and other business efforts. This course provides an understanding of the critical linkage between marketing efforts and the impact on profitability. It deals with core concepts and tools to conceptualize and develop a marketing plan which will be a component in the overall business plan, as well as determine suitable channels for tapping into identified market niches. This is the sales part of the course. The course also teaches candidates how to measure the effectiveness of their plans and especially whether the correct market segment is being targeted in order to maximize value generation. All of this will be placed in the context of the correct sales approach for the existing business or new business to adopt to enter the value chain. , as well as showing the central importance of sales in all business activity. This course takes the student from the A to Z of conceptualization of an idea into a product or service in the context of a given business environment. It focuses on issues of innovation and the acceptance of innovation and technological development with a commensurate ability to accept technological changes. Pakistan ranks very low in international indicators in both these areas. Managerial Economics is essentially microeconomics for business managers. It is a critical subject intended to create an awareness of how economic tools are an integral part of business decision-making and how these tools can be harnessed to create value. In this course conventional topics, like price theory, the theory of the firm, labor markets, etc. are examined from the perspective of their applicability to the operations of businesses, especially start-ups. Price theory explains the value addition of the provision of different products and services; the theory of the firm provides the basis of the optimal organizational form, and the labor markets influence the quality of human capital that is available for entrepreneurship. There is special emphasis on how technology impacts on the operational performance of firms, and how technology and innovation combine as a factor of production to create value, especially in the context of emerging economies. This course focuses on the dichotomy of management and leadership by interposing both the leader as manager and more critically the manager as leaders. Students will be exposed to theories of leadership and management and how this effects businesses in the real world. Special emphasis is placed on the critical importance or leadership as one of the elements of management and how good leadership can avail opportunities made available in an evolving market place and create value. Those businesses thrive that are able to deliver the right service, to the right customer, at the right time…for the right price, at the right cost. In large organizations, with many voices, the discussion can end up being “Who is right”? Businesses today, even in Pakistan (after growth in ERP and ultimately our dotcom boom), are being flooded with data from within, online and through social media. Managers of large organizations have to be data savvy (as the PwC stats for job postings indicates): they need skilling up to tame data and understand which analytic tool or expert needs to be summoned for which business problem/opportunity. For effective business leaders, they need evidence-based, scalable, repeatable models to ensure powerful sharing of the decision-making task. This executive course is designed to deliver an essential foundation: to understand what descriptive, predictive or prescriptive analyses are at hand and when to apply them. We will operate primarily within Microsoft Excel, however an introduction to the programming language R for business analytics is also included. Contrary to widespread belief, operations and their planning are as important in businesses which provide services as those which provide tangible products. And for start-ups and growing businesses, the financing of operations creates a very critical period, which has to be financed; otherwise the business cannot move forwards. 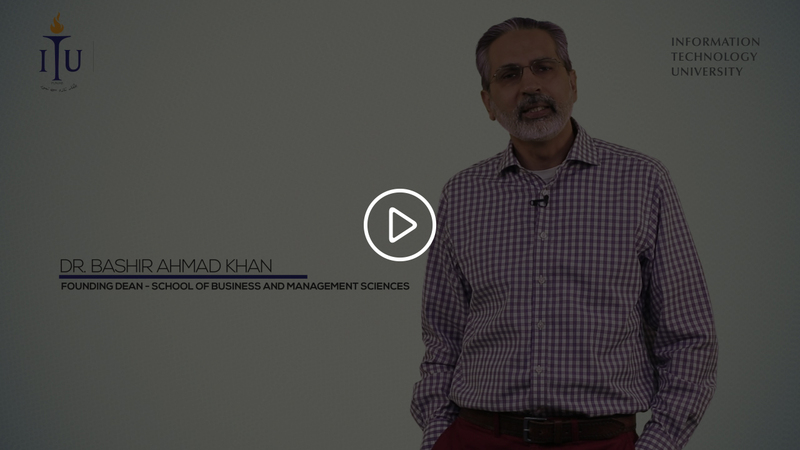 In this course, we examine the integral components of operations in business firms in different sectors and how the ability to produce a product or provide a service interacts with the supply chain which can create so much value if it is properly used and captured, for example in retailing, e-business, and other sectors, which are very innovative but have not been given proper priority in the national agenda such as defense and aviation services. This course focuses on project management from the specific perspective of entrepreneurial ventures. Topics covered including project selection, financing, risk management, human resource management, real options, and exit strategies. The course takes an in-depth look at project selection by introducing dynamic decision-making through real options. It also focuses on the correct methodologies to adopt in order to identify relevant cash lows and discount rates. This is a critical course linking the identification of market niches with the use of tools, concepts, and techniques to understand their behavior. The course focuses on helping entrepreneurs identify existing and potential markets, which maximize value. This requires a thorough understanding of market structure, market dynamics, and the appropriate marketing channels to be adopted such that the entrepreneur invests resources in market segments with the highest value addition. The emphasis of this course is on company law, including the registration of companies and the mechanisms and legal implications of changing the form of organizations whether a proprietorship, partnership, or limited liability company. Candidates will be exposed to the full rubric of existing laws, the shortcomings, and implementation as they impact on the setting up new businesses. The course also introduces students to the role of the regulatory agencies in Pakistan, especially the Securities and Exchange Commission of Pakistan (SECP), with which all companies must be registered, as well as the State Bank of Pakistan, which is responsible for financial institutions. This course has its significance in equipping the experienced students’ lot at EMBA with the real usage of information processing for better decision making in business projects completion and routine workings. This Decision Support System formation is the essence of management information system (MIS) workings and the students need to be provided with insights as to how timely and accurate information can aid in well-directed decisions in business scenario. Business process modelling is another outcome of conceptual implementation and implication of MIS in a pursuit for making better executive support systems. This course looks at the use of IT in organizations as well as markets from a managerial perspective. The focus is on how IT can create competitive advantage and contribute to innovation both within the firm and the outside environment through E-Systems and e-governance. As all the students/Candidates are having professional background/exposure in terms of experience, the business project will aim at giving an opportunity to students to develop a business plan/Start-up or a Case Study as discussed with your supervisor. The project is an opportunity for the candidates to utilize the expertise of the faculty of the Faculty of Business and Management and resource persons from partner institutions. Therefore, the business project can comprise one of two acceptable options:; a project which is focused on the creation of a business venture; or a detailed case study of an existing project.